Back in the 13th century, Malbec was the toast of the town. It was the grape variety of choice for royal households, Papal courts and the landed classes who enjoyed quenching their thirst on the “black” wine. 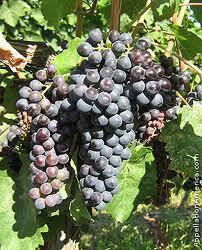 The grape was planted widely in French wine regions such as the Loire Valley, where it was known as Côt, and in Bordeaux, before eventually finding its home in Cahors, in southwest France.